Maze of an Igloo, the houses made of snow bricks that the eskimos make. 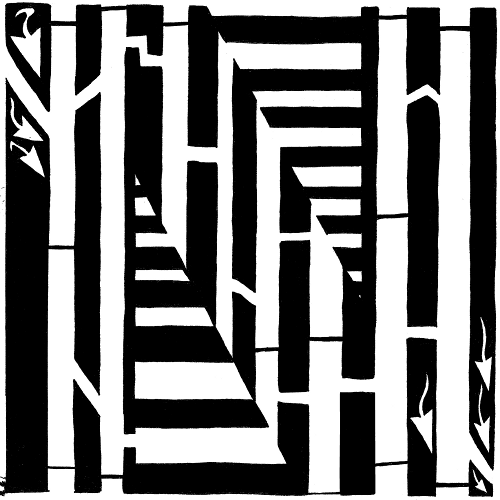 The entrance of the maze is in the upper left corner, and the exit is in the lower right corner of the maze. This maze goes with the maze of the letter i for the kids book, "Learn To A Maze" Which uses mazes to teach kids the alphabet. By Yonatan Frimer.